Looking for a free piano chord chart? Look no further! 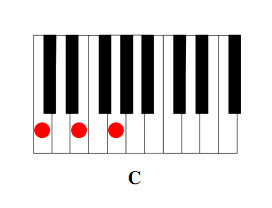 I’ve created a chart that shows you the proper piano keys to play to create all the basic major, minor, seventh, augmented, and diminished chords. And you DON’T have to read music to use it! This chart will be an invaluable tool for you to refer to while working your way through lead sheets, guitar books, or chord progressions you find on the internet. Just click the link below to get your free piano chord chart – AND free video piano chord lessons – no strings attached. Click here to download your free chord chart. I hope you enjoy your free chord chart – no one should be without one!